Skid or wheels installed grouting machine, mixer is suitable for the ground/grouting in underground engineering.Gma300-650 - d cement mixer blender 300 l and 300 l mixer blender, diesel engine power. It is exported to Ecuador, such as the United States. High shear high-speed slurry blender can mix water, cement and additives, etc. It is very fast, and slurry mixing time only need 3 minutes. As for slurry blender, gently stir material to prevent separation. Slurry mixer equipped with a vertical shaft and features designed blade and baffle develop a mild hybrid operation, ensure a homogeneous mixture. A complete set of cement mixer blender to ensure continuous grouting work. 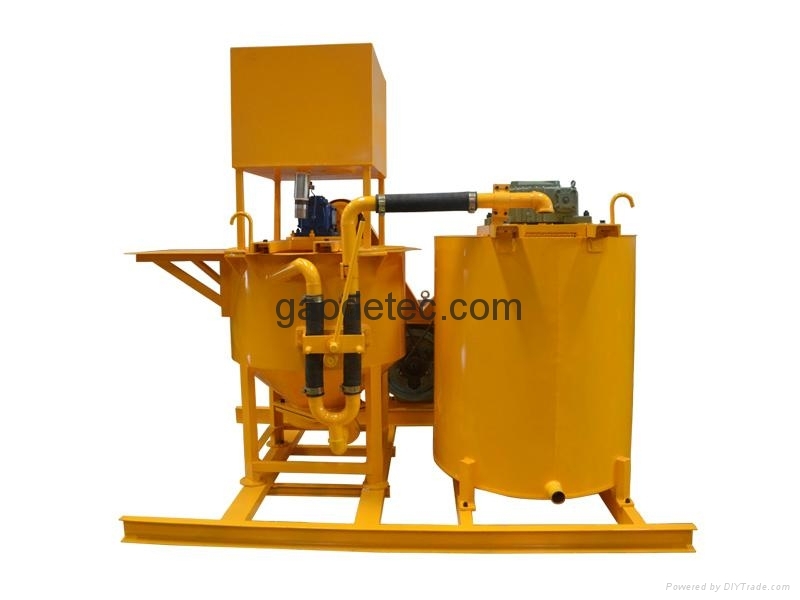 High shear high-speed slurry blender can be used for geotechnical engineering projects. Widely used in soil collapsible soil investigation, soil improvement, soil improved expansive soil, the advice of the foundation, etc. More information about the blender and agitators, please send email to: info@gaodetec.com.